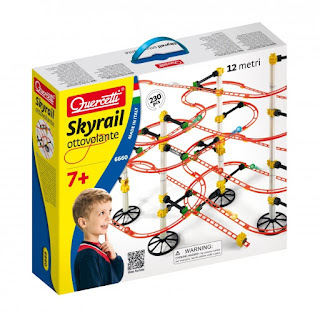 With Skyrail Ottovolante you can build fantastic suspended marble tracks for up to 12 meters of spectacular aerial development that can instantly become the absolute superstar of your bedroom. 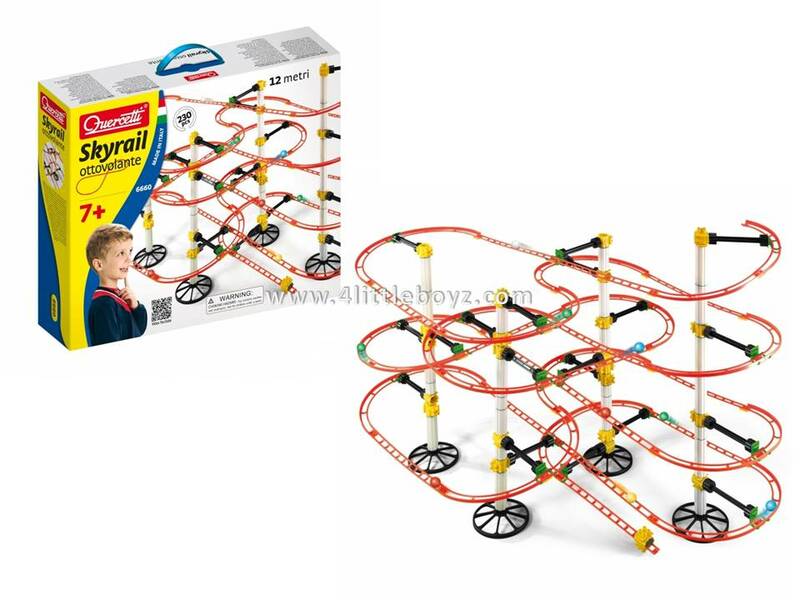 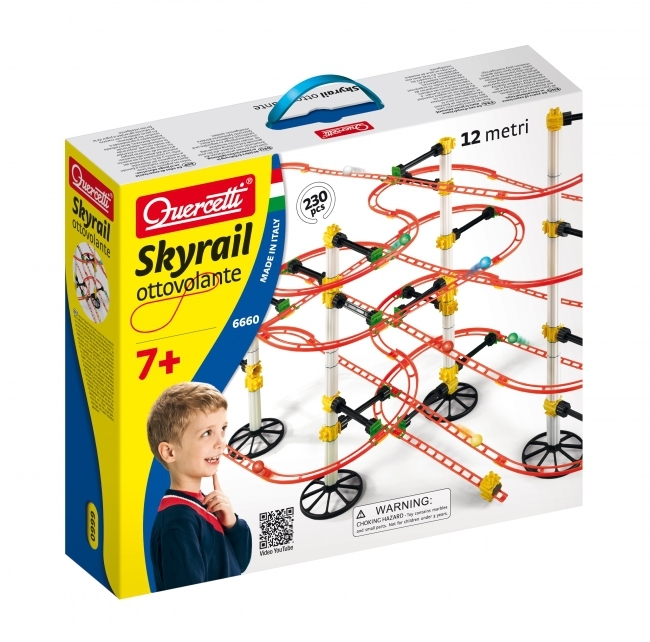 The tracks are even more exciting thanks to the new parabolic curves complete with edges so you can create even more daring and exciting tracks. 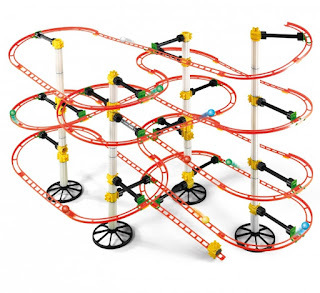 All parts are accurately designed so you can use the 8 marbles included, of 19mm in diameter, but also marbles of different sizes and materials, allowing you to make interesting observations, experiments and discoveries in the world of physics (speed, gravity, centrifugal force, friction) and intuitively understand the fundamental principles. All of this makes for a game of exceptional and unique educational value, ensuring long hours of play in complete safety.